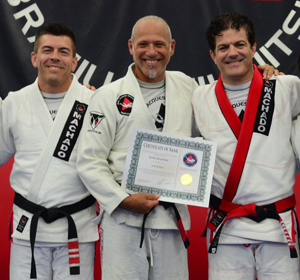 Jean Jacques Machado Brazilian Jiu Jitsu Association | Prestigious worldwide community of affiliated schools under the supervision and mentorship of legendary Brazilian Jiu Jitsu champion Jean Jacques Machado. The Jean Jacques Machado Brazilian Jiu Jitsu Association spans the globe. Under the direct guidance and supervision of Jean Jacques Machado, affiliate schools are held to a standard of excellence that is without question. 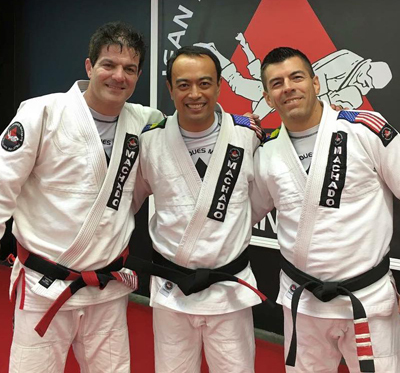 Professional training environments, high-level instruction and global student community are hallmarks of martial arts academies under the Jean Jacques Machado Association. Become part of a lineage that is one of the most respected in Brazilian Jiu Jitsu and Martial Arts worldwide. In 2013 I was purple belt and the owner of a martial arts school that was barely surviving. I was looking for an affiliation that would allow my school to prosper. I was also looking for an affiliation that would allow my school to keep it's individual identity. Lastly, I was also looking for an affiliation that would mentor me in both Jiu Jitsu and business. All these goals have been exceeded since I joined the Jean Jacques Machado family. 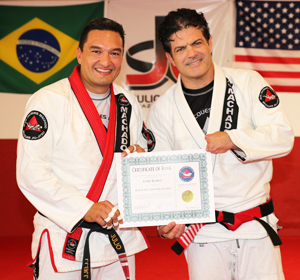 Affiliating with one of the most respected names in Brazilian Jiu Jitsu gave my school instant legitimacy. The name recognition that comes with the affiliation can change your business overnight. Since affiliating with Master Jean Jacques my school enrollment went from 40 to over 200 in the span of 3 short years. Our school is still growing and the sky is the limit. The affiliation has allowed me to keep my individuality as an instructor and as a school. Unlike many other affiliations, there are minimal restrictions on uniforms, marketing and teaching curriculum. They allow you and encourage you to be creative in your teaching and marketing. This freedom has allowed me to bring in other programs and develop instructors so that I could diversify my income streams. The affiliation has literally saved my business. The mentorship that comes with the affiliation has been priceless. Master Jean Jacques Machado and the Affiliate Director Professor Jay Zeballos are world class human beings. Their support has been invaluable to my development as a Jiu Jitsu athlete and as a businessman. They showed me principles that are cross applicable to both Jiu Jitsu and business. They guided me from purple belt to black belt and I could not be more grateful. If you are looking to affiliate with an organization that is guided by honesty and heartfelt sincerity, you have found it. If you are looking for an affiliation that promises to make you a ton of cash and a black belt overnight, look elsewhere. Valley Martial Arts Center (VMAC) opened its doors in 2009. As a long time student of Jean Jacques, I thought I could become an affiliate as soon as I opened my doors, however because there was already an established affiliate not too far from my academy, the JJM association had to protect its territory. Nevertheless, we remained loyal. Both myself and Marcello never wavered. When approached by other organizations we declined. We were patient (as Jean Jacques always says we must be) and our patience has paid off. We became an affiliate of Jean Jacques Machado in 2016 and look forward to continuing our affiliate status in good standing with the organization. Being alone out there is tough. It feels good being part of an organization that allows you to grow. There is a lot of potential to expand and spread our art. We hang the banner proudly. We wear our patches and we represent what they stand for. Representing Jean Jacques Machado has a lot of weight to it and we don't take it lightly. The things I teach and say really come directly from Jean Jacques...many times only hours later! Teaching has proven to be an excellent learning tool as well. To be able to rethink and "science it" is crucial to proper learning and advancement. Bjj is life. Many of my decisions parallel the teachings I have had the fortune to partake in. We need to know when to act and when not to. We need to know how to counter and how to be patient, etc. As VMAC continues to grow we realize that we are "making better lives" and effecting the community in a positive way. I have seen people lose weight, lower their blood pressure, grow their self-esteem, make friends, learn to commit, learn to fight through a struggle - to name a few benefits. These enhancements in a person's life warm my heart. VMAC will continue the good fight! We will continue to share Jean Jacques' teachings and hope we can help more people grow and get better at everything they try to accomplish. Thank you for allowing us to be part of the family!! Jiu-Jitsu changed my life. It’s a statement coined by the Brazilian Jiu-Jitsu community. I have been training for ten years and I have come to the conclusion that it is the people who practice the art with you that truly guide your productivity on and off the mat. When my father and I joined the family that is the Jean Jacques Machado affiliation we were both purple belts in 2013. We have both grown so much since then. I know that I have learned so much about Jiu-Jitsu from Jean Jacques. I think the most import thing I have learned while being under Jean Jacques is a self-knowledge of who I am, who I want to be, and where I am headed. Being affiliated with Jean Jacques Machado has had a tremendous effect on my business and my ability to market. 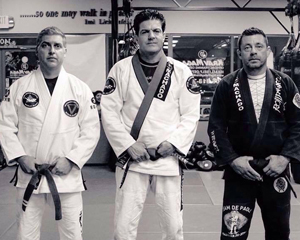 There are few names in the BJJ world that are as well-known as Jean Jacques Machado. Sometimes the term family is used so loosely. However, that is exactly how everyone will treat you in this amazing organization. I’m so proud to be a part of this family and I cannot wait to see what the future holds. Studying under a great teacher is not something we all have access to and I am fortunate to have Professor Jean Jacques Machado as my teacher. How fortunate I am became even more apparent when I opened my own school. The level of support, help and dedication for my success on so many levels were immeasurable for both me and my students. Of course representing and having Jean Jacques Machado name on the door adds another layer.. It's an honor to represent my teacher and be a part of such an amazing family. Thank you Professor for creating such an amazing network of amazing individuals that I am proud to be a part of. 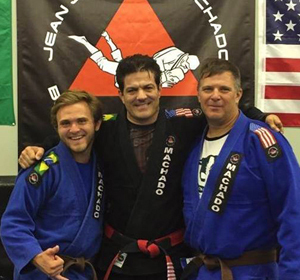 I have trained under Master Jean Jacques Machado since I started my journey about 20 years ago. Since day one something about BJJ captivated my mind, soul and heart. Master Jean Jacques’ philosophy and ease of helping me understand technique made me a student for life. As a student, I’m thankful for the patience and understanding he displayed through the different ranks in my journey. In my lows and highs, he had the right answer to develop my game. The transformation from student to instructor was not easy either. Master Jean Jacques’ continued support helped me get to where I am now. It’s easy to tell someone “I believe in you” but when you say it and you mean it, those words have a life changing impact! I’m proud to be a member of this team and will represent and carry the flag with pride!! Go Team JJ Machado! !